What better way than having a FOXWELL NT630 Elite Auto code reader handy for immediate code error reading at any time. 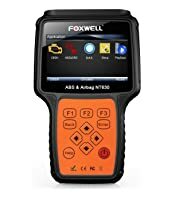 The FOXWELL NT630 Elite is an auto cars code reader that diagnosis’s faults in your vehicle. 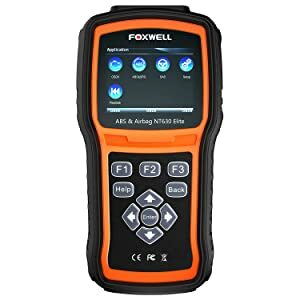 FOXWELL NT630 Elite enables you to check on the engine lights quickly. The gadgets also run the test on the anti-lock brake system, helps car owners to read and clear codes and turn the ABS/airbag indicator off. 4 Who Is Foxwell NT630 Elite Built For? For many car owners, engine light showing on the dashboard is something they dread. When the engine light comes up, it could mean that your car has one or more diagnostic problems that require immediate attention. However, even if you manage to read the code, the errors will still remain on the computer, unless you use a code reader like FOXWELL LNT630 to clear the codes. Figure Why is Your Check Engine Light Flashing? This tool will help you to identify the car that you are testing accurately on the basis of the vehicles VIN number. The gadget retrieves the VIN codes or you can still enter it manually so as to identify the model of the vehicle you are working on. 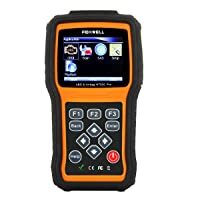 Therefore, to help you in purchasing the best automotive tool, we will review the FOXWELL NT 630 Elite tool to determine whether it lives to the expectations of the manufacturers. Offers LIFE-TIME Internet Free Update. Long and complicated navigation menu. Not support updates on MAC systems. Bottom Line Foxwell NT630 Elite is built for DIYers or Enthusiasts who have wide range of cars. 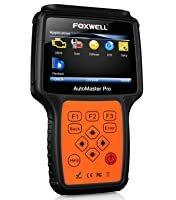 Foxwell NT630 plus is an excellent scan tools for DIYers and average car owners If you're a car enthusiasts or experienced DIYers who want to perform several diagnosis, Foxwell NT624 PRO suits you. One of the best things about the FOXWELL NT630 Elite is the wide range of compatible makes. If you work with a wide variety of cars on a regular basis, the enhanced compatibility of this scan tool makes it a solid choice. America vehicles from 1996-2016: The Chrysler, GM, Ford, and GM from Brazil market. Asia vehicles from 2001-2016 which include: Hyundai, Kia, Isuzu, Lexus, Mitsubishi, Subaru, Honda, Acura, INFINITI, Perodua, Nissan, and Scion. This scanner covers an incredible range of 52 manufacturers. The European coverage from 2003-2016: Bentley, Bugatti, Jaguar, Mercedes Benz, Skoda, Audi, BMW, Volvo, Sprinter, OPEL, Saab, Porsche, Mini, and Vauxhall. Backlit, 480*272 TFT color display for perfect reading the codes. Most of all, the software is upgradable. To update the tools software, first of all, put it into an updating mode by holding the HELP button for about 5 seconds. 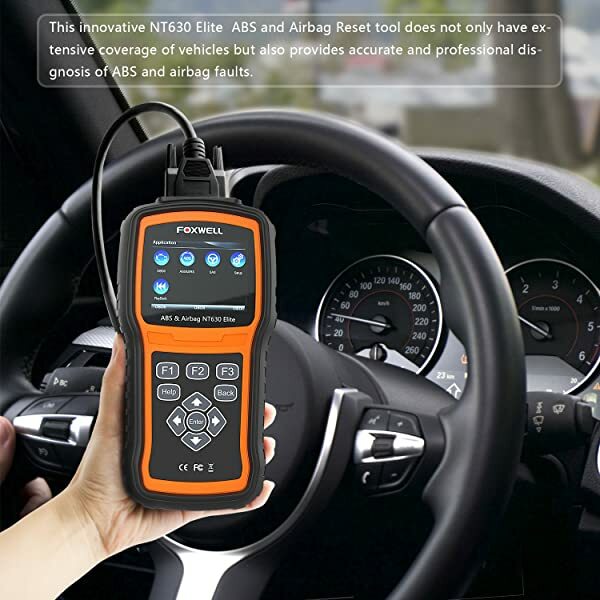 NT630 provides an accurate and professional diagnosis of ABS and airbag faults. Then, open the NT wonder applications after you have installed the USB cable into the USB port of your computer. While you are doing this, it will display the update status. Finally, select UPDATE ONLINE, and the software will download and install. The tool clears and reads codes. It turns off ABS and airbag warnings indicator and allows you to temporarily use the scan tool to control and activate the airbag system/ ABS or the component. Shows live car sensors data in graph and texts. Supports all the OBDII test modes like I/M readiness, live data, test on board, monitor tests, and more. 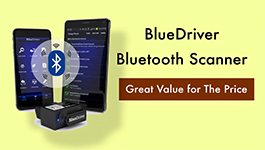 The gadget supports and works well with over 50 car brands. In addition, it support languages like French, English, Italian, Swedish, Portuguese, Thai, Korean, Japanese, Hungarian, Russian, and Spanish as well. Compatible with OBDII and OBDI vehicles, Minivans, SUVs, and light duty trucks. Has TFT color 480*272 as the screen display. The too dimension is 13 x 3 x 8.7 inches. The external power is an 8-18 voltage which is powered by the vehicle. Consequently, these useful features let you know what was going on when a car’s check engine light was turned on. 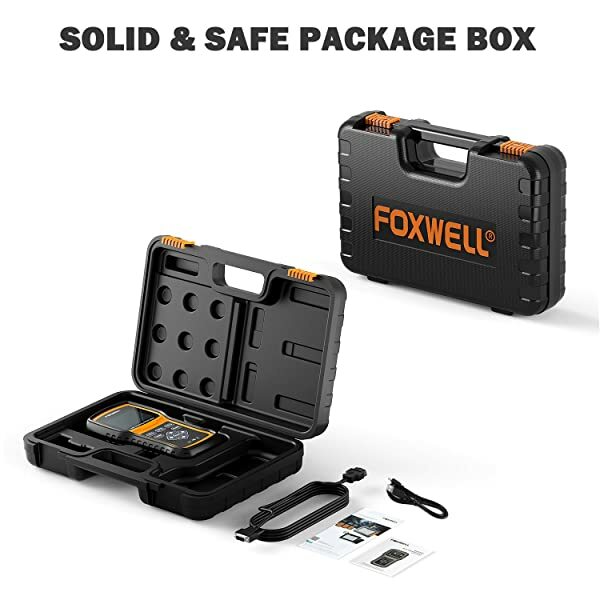 Foxwell NT630 Elite is well packaged by solid and safe box package. Blow Molding case of 325*220*74mm. OBDII 16 pins diagnostic cables. Foxwell NT630 Elite can requests and record live data streaming. The data is recorded in graphs and texts and lets you to focus on any suspicious data. As a result, you are able to view the parameters graphs at the same time and merge the data into coordinates to see how they affect one another. This scan tool also supports all the 10 OBDII testing modes that include the O2 sensors testing, live data, and components testings’. The NT630 Elite can read and clear the trouble codes and turns off the airbag/ABS indicator warning. It performs bi-directional control test like actuator test, motor test and much more. The multilanguage ensures the tool covers a wide vehicle coverage over 52 in number including the 2015 latest models. Retrieve ECU information is a great function of Foxwell NT630 Elite. This option displays your cars VIN number. It retrieves the VIN code automatically so that you can know the model you are working on. The NT630 Elite actuates components, read codes, run various system tests and program the control modules. 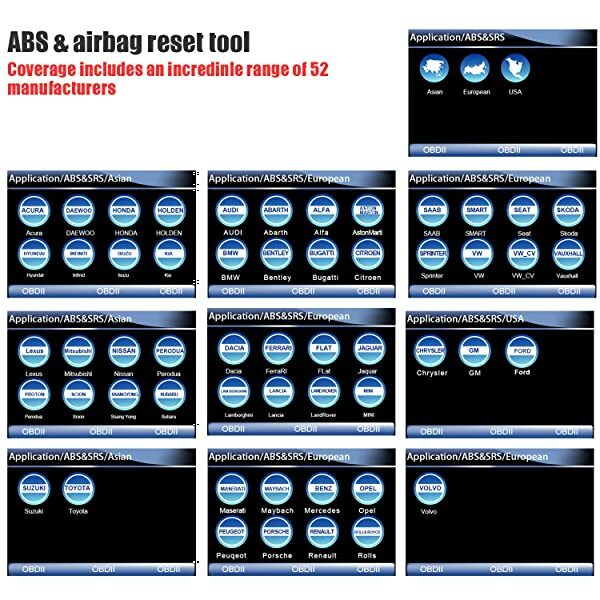 It allows the user to use the scan tool to control or activate the airbag/ABS. ABS motor test and automated test. The detailed comparison of the new NT630 Elite with the old style. Automated bleed, auto bleed test or service bleed. Pump motor tests and system identification to get VIN. Traction controlling systems and manual control test. Lamp tests and relay test and idle up manual controls test. The diagnostic works great and fast. Works well with Mercedes Benz. Removes air from the internal brakes fluid. The device fails to communicate with certain car models like the 2012 GM. The customer support is not fast in responsiveness. It does not support heavy duty truck. Fails to read and clear transmission codes. Who Is Foxwell NT630 Elite Built For? Getting a diagnostic tool that will cover over 50 car brands from America, Europe, and Asia is not an easy task. Especially, identifying that it is not just market gimmicks is the hardest task. However, the FOXWELL NT630 Elite is a super excellent product. It comes with a hard case and works perfectly well. Furthermore, the tool has many functions. It also enables you to check on the engine lights quickly. In addition, the gadgets run the test on the anti-lock brake system, helps car owners to read, and clear codes and turn the ABS/ airbag indicator off. 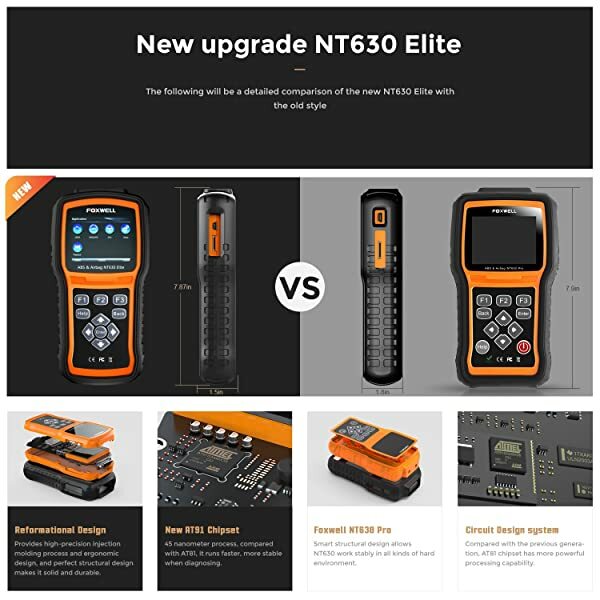 Therefore, whenever you want a diagnostic tool for a wide range of cars and not only for your specific vehicle, NT630 Elite is the right tool for you. The market today has so many diagnostic tools. So, finding the right tool for the right vehicle brands requires extensive research. That is why we hope our review has shed light on a brand that covers a wide car range and its benefit of Multilanguage. In conclusion, this FOXWELL NT 630 is affordable and ideal for the car enthusiast, car owners are DIYers. SRS Light / Airbag Light on – What should I do? When I first heard about the ZUS nonda smart car health monitor, I thought that someone was trying to pull my legs. But No. By having the Autel MS300, you can quickly find out what is wrong with your car. So you can get things fixed yourself or know what to talk to the mechanics.